The HOIST Fitness H4400 4 Stack Multi-Gym brings 40 years of innovation with its recent redesign by our engineering team. Designed with the same smooth, natural, quiet motions that have become the HOIST® trademark, the H4400 is the most up-to-date premium 4-station gym for light commercial and commercial settings.200 lb. Silent Steel™ weight stacks: Each solid steel individual plate receives pressed-in industrial plastic bushings and then is machined to exacting specifications to insure glass smooth operation plus eliminating any metal to metal contact or sound. 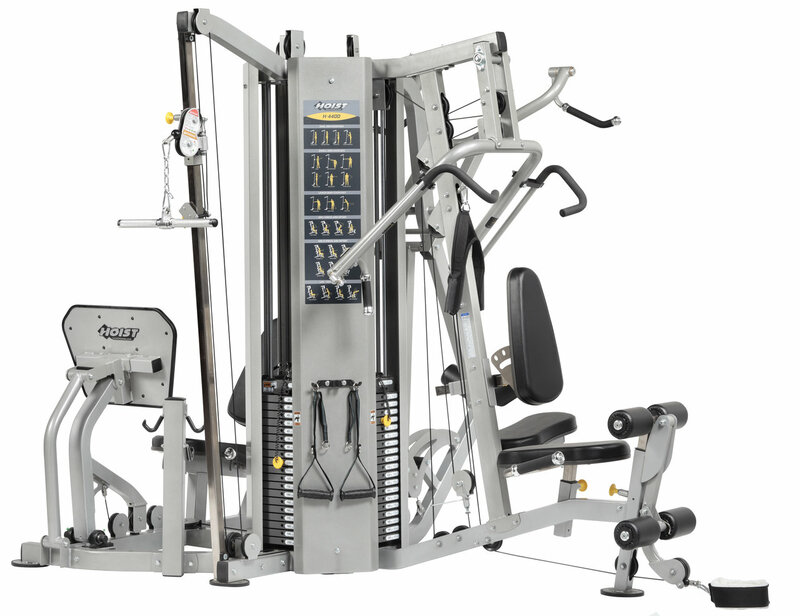 The Hoist H-4400 has (4) stations in only 68 square feet: leg press, adjustable cable column, rigid arm pull down and chest press/mid row/leg extension/standing leg curl. Minimum amount of adjustments required between users. Self-aligning handles automatically adjust throughout the exercise movement to accommodate users of all sizes. 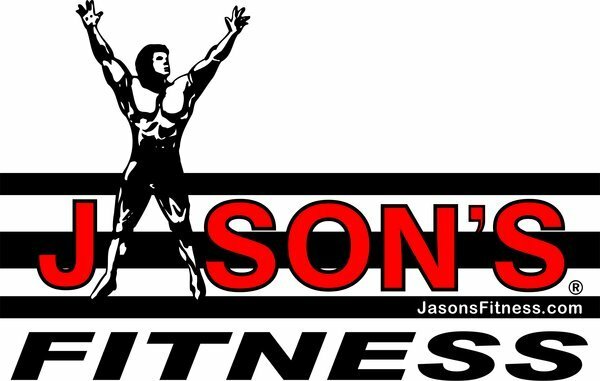 Patented range-of-motion adjustment customizes your starting position on the bench press, shoulder press, incline press, and mid row exercises. Patented, self-aligning rollers adjust automatically and provide thigh support. Easy Glide™ inserts for quick, smooth and secure adjustments to eliminate friction and seat post wobble. Patented Radial Loc® weight system with 2.5 lb. incremental weights, weight pin lanyard and (2) 200lb Weight Stacks. This interlocking weight system provides for a tighter fit and less shifting between plates. Patented rigid arm lat pulldown has wide-open head clearance for safety. Dual adjusting back pad provides proper body Positioning. Has an integrated cam to prevent resistance drop off at the end of the exercise.